A research paper by California Healthcare Foundation. Check-in kiosks are interactive computer stations designed for self-service tasks, such as patient check-in and collection of co-payments. 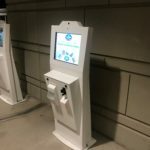 Kiosks can be freestanding (like those at the airport), wall-mounted (like bank ATMs), placed on a countertop, or they can be mobile (like a tablet PC). 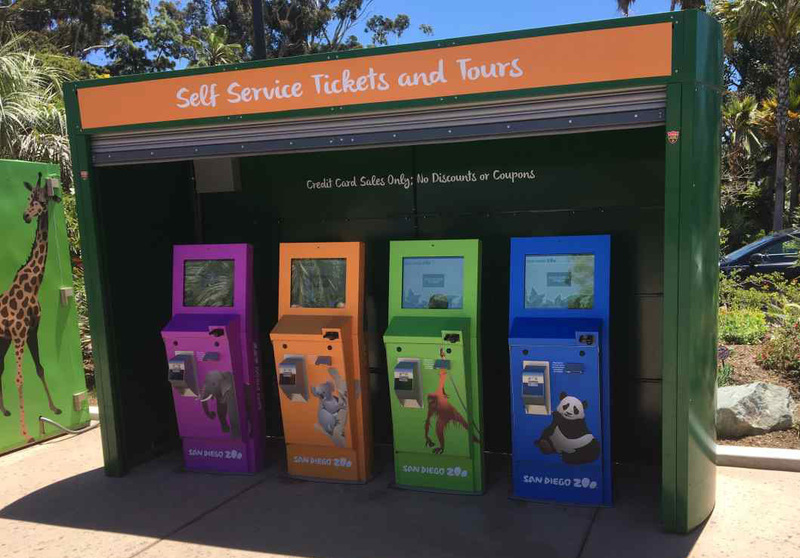 Interest in self-service kiosks is growing rapidly as hospitals seek to improve patient satisfaction and operational efficiency. 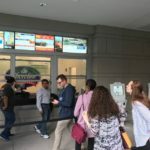 Although fewer than 10 percent of health delivery organizations have implemented patient kiosks, the experiences of early adopters show that kiosks can be effective tools for meeting rising consumer expectations. 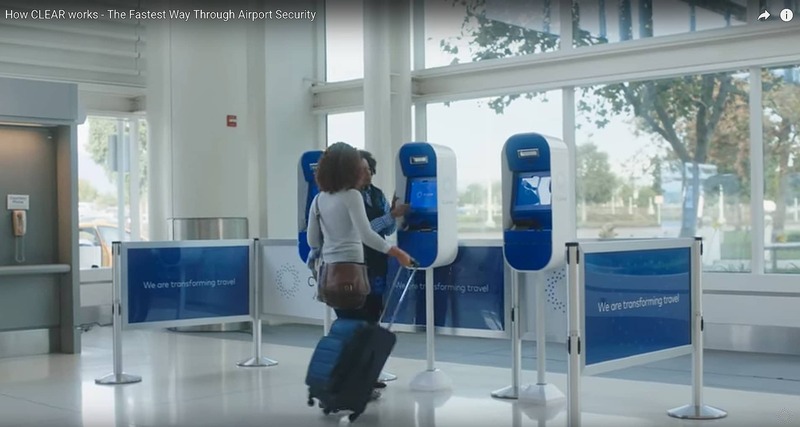 Hospitals are deploying check-in kiosks in two main settings: ambulatory departments and emergency departments. In the ambulatory setting, the most common uses of kiosks are for patient check-in, wayfinding assistance, collection of co-payments and outstanding balances, updating patient demographics, and to ask patients basic screening questions. Some organizations also enable patients to sign consent forms and fill out real-time patient satisfaction surveys. 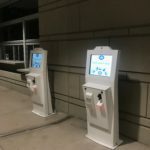 In the ED setting, where there are fewer kiosk implementations industry-wide, kiosks are generally used to enable patients to sign in and provide caregivers with basic triage information. Hospitals justify the implementation of kiosks primarily as a means to improve patient service, not strictly as a cost-savings measure. 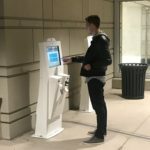 The experiences of leading organizations have shown that kiosks can increase patient satisfaction by reducing waiting times and offering greater convenience and privacy. Many organizations also achieve significant operational benefits, including increased patient throughput and improved accuracy of demographic data in patient records. 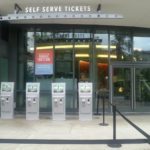 However, kiosks are intended to supplement, not replace, staff. 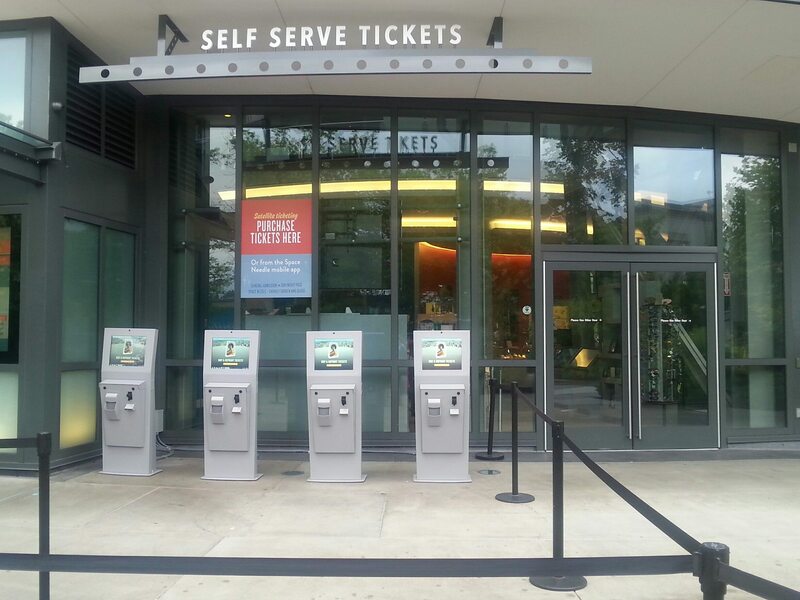 The success rate for kiosk implementations is high. 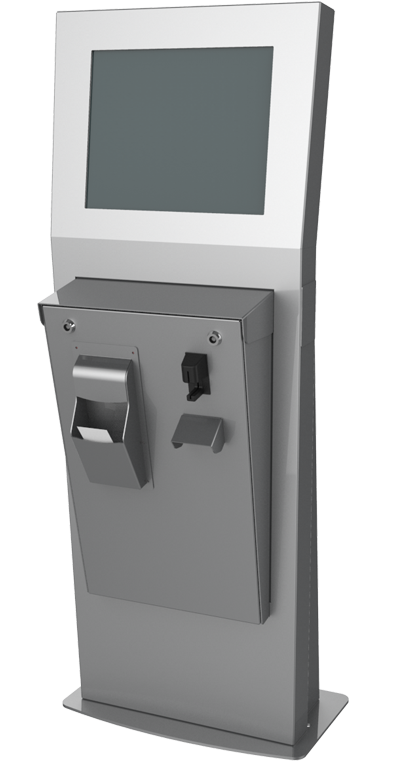 Compared to other technologies such as electronic medical records or clinical systems, patient kiosks are relatively uncomplicated to implement, require a small investment, and can be deployed selectively to the departments that are likely to benefit from their use. 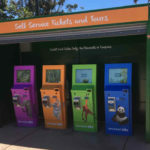 Choosing the right type of kiosk to use and the right functions to deploy requires careful planning and consideration. Integrating the systems with scheduling, billing, and other existing systems also requires care in selecting vendors with the right type of expertise. Editors Note: This report was originally written in 2009 and since then the hardware and software specialists have changed. Some of them like NCR withdrew from the business. 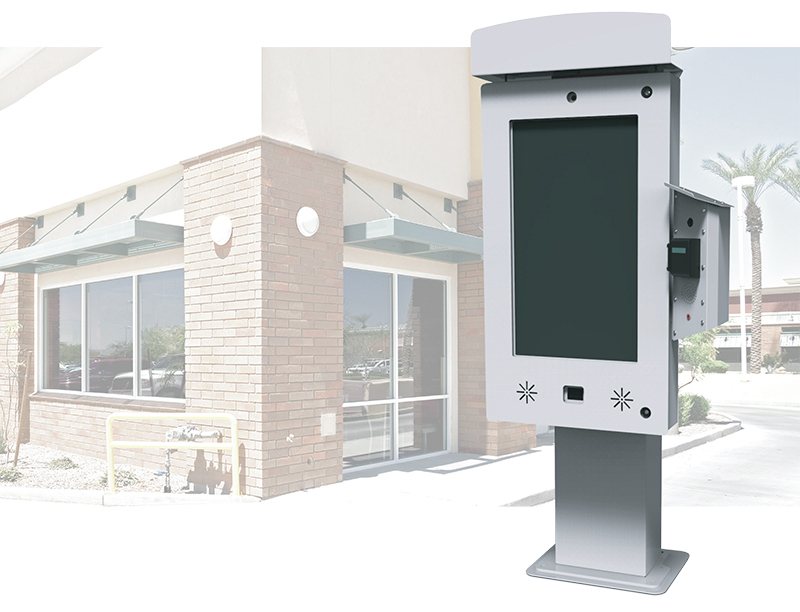 New suppliers such as Olea Kiosks, Kiosk Information Systems and Slabb now are hardware providers in the industry.